On the occasion of the 79th Hahnenkamm Races, three legends were honoured again this year for their great historic achievements. Personalities from the worlds of sport and politics gathered at the Rasmushof for this special event, including members of the FIS board, the government and ÖSV (Austrian Ski Federation). The KSC was of course also present to celebrate with the legends. KSC President, Michael Huber, welcomed all attending guests to this special evening, which was organized by KSC in conjunction with the Austrian Ski Association. He expressed his gratitude to the recently deceased KSC official, Hannes Huter, who always looked after the guests of honour at the Hahnenkamm Races. Michael Huber was therefore more than delighted when Marlene Huter, Hannes‘ daughter, agreed immediately to take over her father’s former duties. Michael Huber closed his speech with words of thanks to all KSC officials, without whom the Hahnenkamm Races would not be possible. 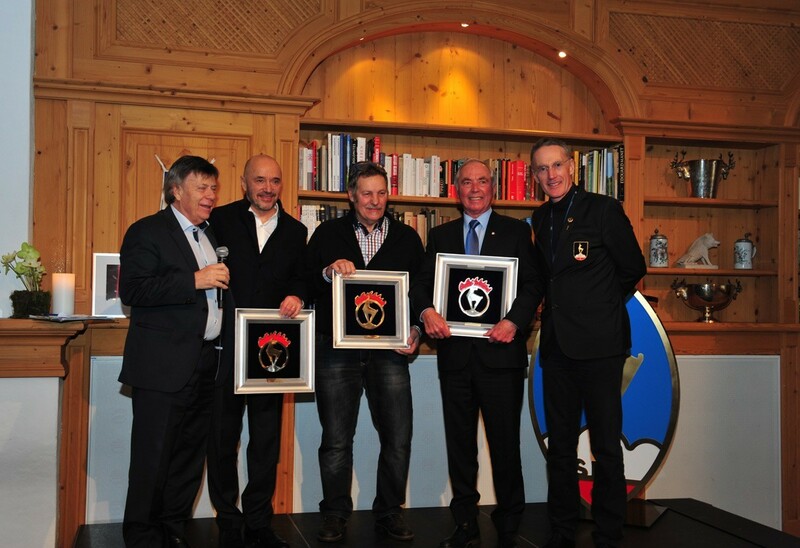 The three legends were presented with the famous Hahnenkamm logo, designed by the famous artist Alfons Walde. It was a relaxed and entertaining evening with great food and lots of good conversation. The perfect conclusion to a successful ski day.